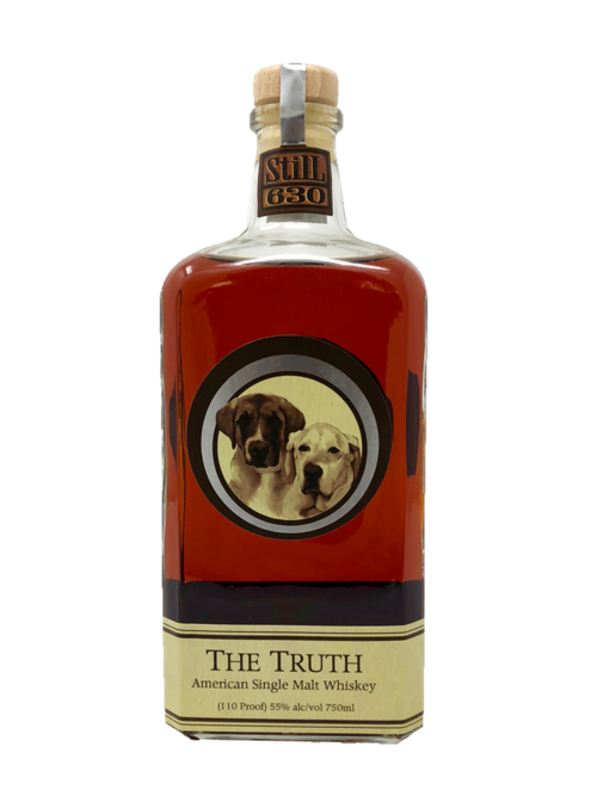 The Truth is our first ever release of an American Single Malt Whiskey. This tiny batch is a single malt barley whiskey made from 100% single malt barley, a portion of which we smoked. With the help of James Beard Award Winning Chef Gerard Craft (owner of Niche Food Group, which includes: Taste Bar, Brasserie, Sardella, Pastaria, and Porano Pasta) and Chris Kelling (GM of Pastaria/Sardella), we dialed in the proof to a stout 110 to capture the full body of the whiskey. They were great to work with, providing useful and thoughtful feedback. I had originally developed this spirit in very small test batches and I loved it and knew I needed to release it in some way. I’ve always loved smoke flavor in whiskey – it’s naturally complimentary- and non-peated, American style single malts really caught my attention a couple years ago. I’ve been a huge fan of Chef Craft and his restaurants since I first moved to St. Louis. I was confident in the spirit itself, I’d tasted it, I knew it was good, so I was ecstatic when he and Chris agreed to come try it. We thought it would be great to honor our dogs, Big Jake and Otis on the label. So we did. The great artwork was done by Ria Sharon. There are only 87 bottles total in existence and at 110 proof, these will command a commensurate price. And with the extremely limited quantity, this release will only be available at the distillery and in the Niche Food Group Restaurants… while supplies last!